If any removal company tells you they never get complaints, I'd be REALLY impressed (and slightly dubious...). Removals is a high risk highly charged industry, think about it, we move thousands of different objects every year, some heavy, fragile or awkward. We move those items from houses and buildings that are never quite the same, with different size doors, hallways, with different obstacles and different challenges every day. We do it in all sorts of weather from the height of summer to depths of winter where sometimes getting salt from the local shop to help us clear a path is the only option to get a move done (Yes, this has happened!). We use human beings to do this, oh, and we do it at a time when our customers are REALLY stressed and the smallest thing can be the straw that broke the camels back! (moving house rated as one of the 3 most stressful things we can do in life). For an incident or accident never to happen I think we'd have to invent teleporting, and whilst we've got some pretty good ideas, we're not quite there yet. We believe the most important thing is what happens next: What do we do to put it right or stop it happening again? So, when you're evaluating removal companies and come across a few bad reviews for your preferred mover DON'T PANIC, here's some tips for how to read and evaluate those reviews further to inform your final choice. How does the removal company put things right when a move goes wrong? How did the company respond to the online review? Did their response change your impression of them? were they argumentative, making things worse? Did they take responsibility and offer the customer next steps for getting the problem resolved? Did they have a good attitude? Did they disclose personal details about the move which betrayed the customers confidentiality? Did they respect the customers right to complain? Is this the type of company you want handling your move if the worst happens? Sometimes the company don't get a right of reply (not all review websites allow a company to respond to complaints) but if they did, use the above questions to get more of a feel for the customer service of the removal company you're considering. What does the company have in place to protect you if something like this happens to you? Does the company have insurance in case something gets broken? Do they have a complaints procedure that shows they will work with you if something goes wrong? Are they a member of a professional association like the British Association of Removers which will require them to comply with a set code of conduct when it comes to complaints and provides an independent ombudsman in the event that a dispute can't be resolved? What does the company do to prevent issues happening? What quality systems do they have in place to reduce the risk of something going wrong? Certification to these organisations means they have been pre-vetted by indsutry experts to prove they are qualified and capable of undertaking a professsional removals service and whilst they don't eliminate the risks of something going wrong they significantly reduce them giving you peace of mind you're choosing a reputable mover. Click the links above to find out more about what each badge means. As we said before, everyone makes mistakes, that's ok. But making the same mistakes over and over again for different customers isn't ok. We should learn from them and do whatever we can to prevent them happening again. At Bournes for example we have a great 'continous improvement system' called Pulse. This is an online system that any employee can record a mistake, incident or even a 'whoah that nearly went wrong' near miss so that our training manager and management team can review where there are risks in our business so that we can fix them or do more training with our teams to stop them resulting in problems for our customers. If you read a bad review ask your moving company what they have done to learn from this move so that the same thing shouldn't happen to you. Is the topic of the review important to you? Final thought: Take reviews on balance. Every good removal company that we know has bad reviews on the internet, but they have lots of good ones too. 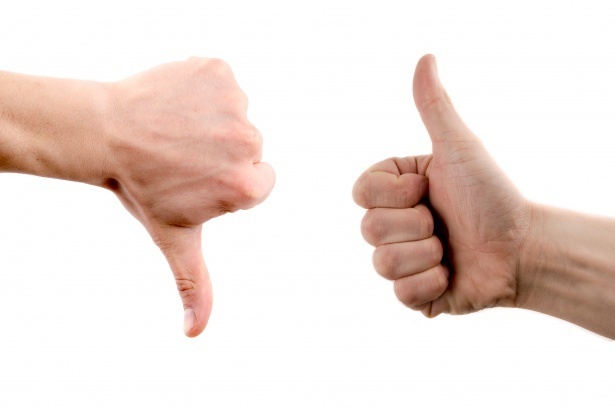 If you can only find bad reviews and no good reviews then you might have cause for concern, ask your removal company where you can find independent reviews about them and they should be happy to point you in the right direction. Want to read some of our reviews? We publish some of our favourite removals reviews here, we think these show some of the great things about working with Bournes for your move to help you understand our value in the words of our customers rather than our sales team. ReferenceLine- the home of reviews for members of the British Association of Removers,the UK's leading professional association for moving companies. Want to know more about choosing a reputable removal company? Find out everything you need to know about finding and choosing the right removal company for you with The Ultimate Guide to Removal Companies.